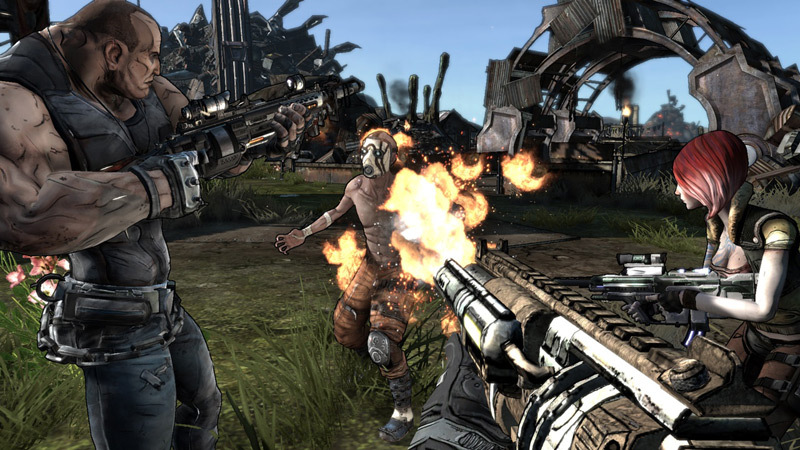 The original Borderlands has made it on the backwards compatibility list for the Xbox One. If you’re part of the Xbox One Preview Program then you can experience the wide world of Pandora once again in its original glory. The stable of backwards compatible Xbox One games has grown by one. When Borderlands came out in 2009 it gave us a tremendously fun and witty futuristic loot-driven FPS with a continual profusion of content on the cell-shaded world of Pandora. Many people thoroughly enjoyed many hundreds (if not thousands) of hours in Borderlands, and 2K wants to help you continue enjoy it in the future. – Christoph Hartmann, President of 2K Games. Thus far it seems that the backwards compatibility feature hasn’t quite been appreciated as much as perhaps Microsoft has wanted. The performance of games being played from within the Xbox 360 virtual machine tend towards poorer performance, though not always. Re-living those memories from older games can be a joy, certainly, but because these games have to specifically have profiles so they can be played properly, what does this mean with the seemingly large business of remakes and remasters? Does this mean less work on backwards compatibility? Regardless of whether you find it useful, it still remains one feature that isn’t available on the PlayStation 4. There are currently 23 games that are backwards compatible with more on the way in the future. Alpha Protocol in Line for a Remaster? Sign Me Up!